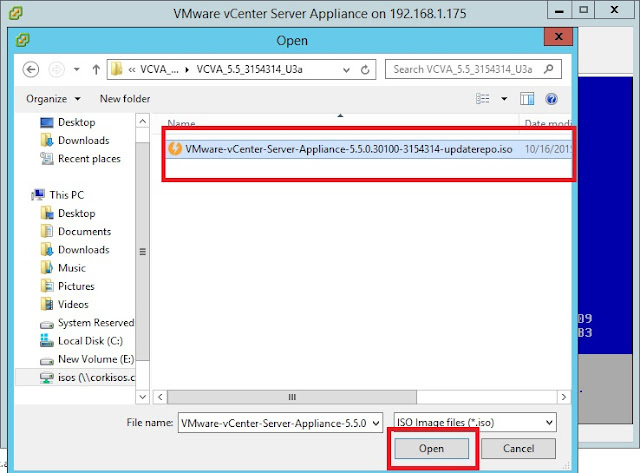 Upgrading vCenter Appliance is quite different when compared to upgrading your Windows based vCenter. 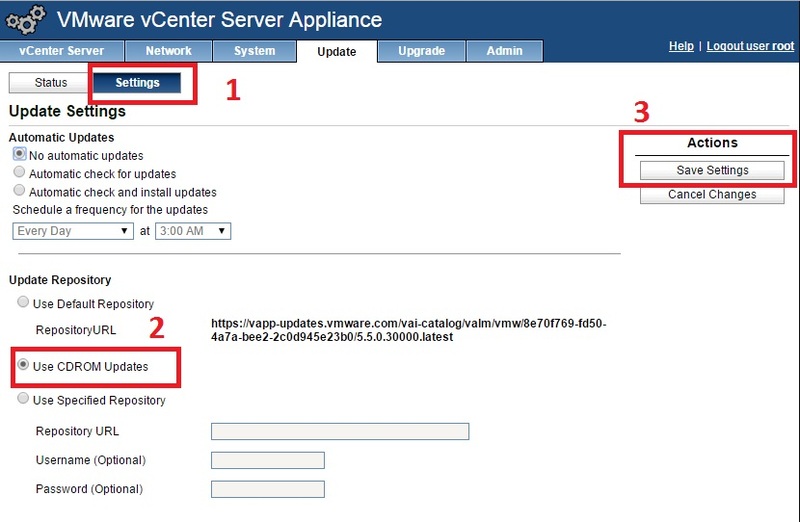 There are just a few steps to be performed and a lot to wait for the upgrade to be completed. 3. Click Update Tab and Select the Status sub-tab and expand the Details option. 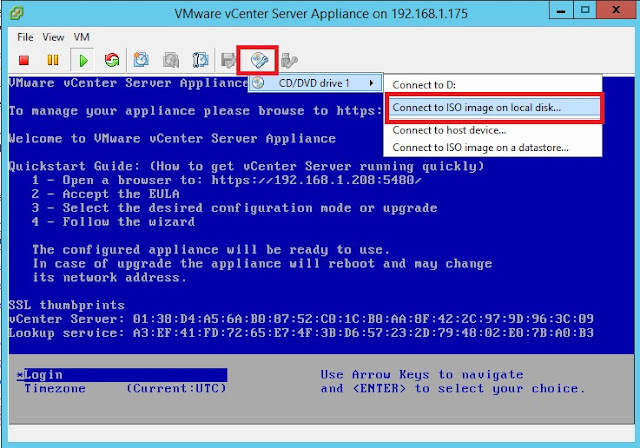 Login to the host/vCenter hosting this vCenter Appliance virtual machine. Select the CD option in tool bar and CD/DVD Drive. Click the Settings tab: Make sure that the Use CDROM Updates is chosen as we are using the ISO from local drive for upgrade. Now the updates or on the CD and the Appliance is set to look for updates on it CDROM folder. If you click the Details here, you can see what update is available. Here, since we mounted the 5.5 U3a update, we can see this in the available updates. The update process can take from 90 minutes to 120 minutes. Do NOT reboot or Power OFF the appliance. Reboot the machine ONLY after the update is complete. During the update process you can see this pop-up in the web management page. After rebooting the appliance, you can see the new Version Under Appliance Version in Update Tab. 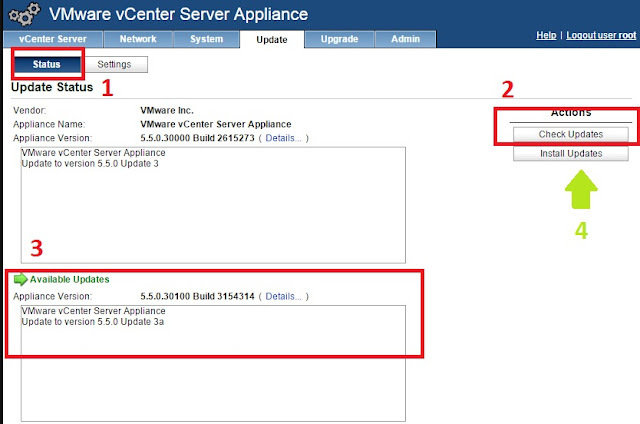 You can also open a console to the Appliance virtual machine and notice the updated Build Number. What happens if you're in an environment where they have disabled your web browser and you can't change the settings to update using CDROM? I'm having this problem since I don't have internet access to where I'm performing the update nor do I have a web browser (secured area). I'm looking for the command have the update be performed with the ISO attached. Unfortunately upgrade via command line is available only with 6.x. For 5.5 only the VAMI page is the option.